The ONLY Concrete Lifting Van of its kind! You’ve been thinking about entering the poly foam concrete raising business, but really did not want to purchase a truck or a trailer. We have heard your wishes of convenience and compact. We are proud to introduce our new easy to maneuver Poly VanSystem. 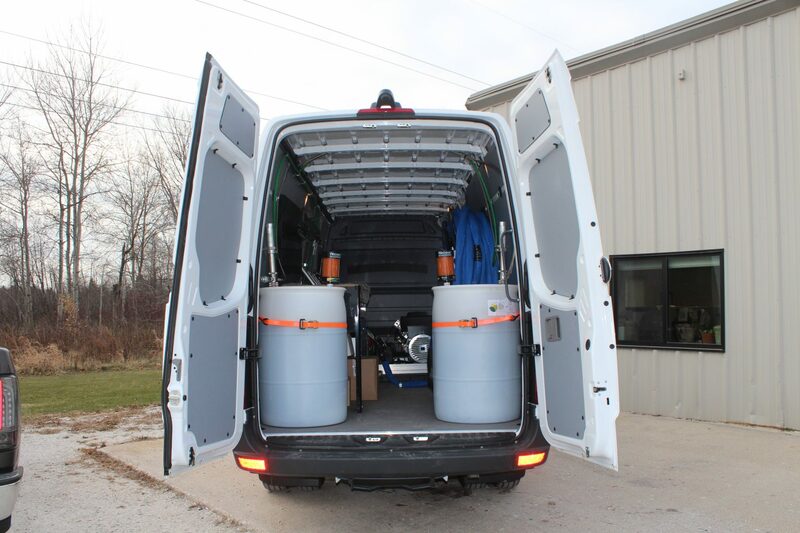 All equipment can be removed for a multipurpose cargo van! 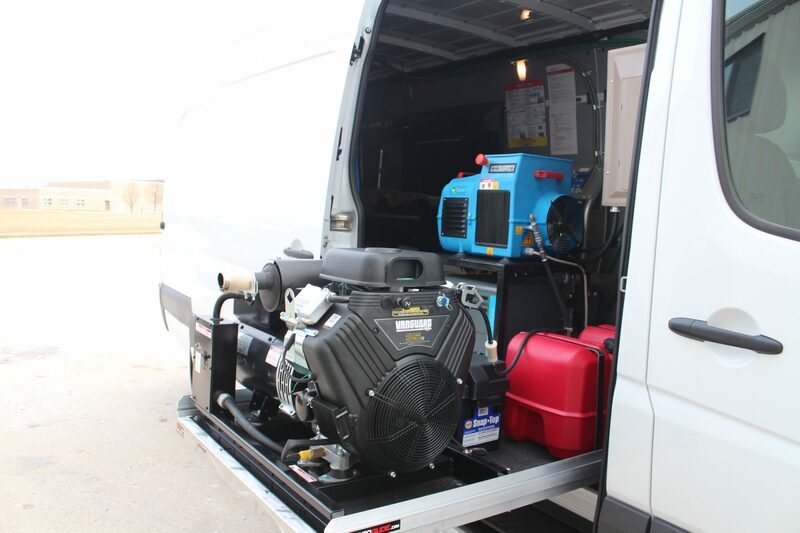 We can install in Dodge ProMasters, Mercedes Sprinter, Freight-liner vans that meet our size and weight rating specifications. Heated hose extension 50 ft.
Material trailer – Haul 2 more sets! Interested in learning more about the HMI Poly Trailer System? Let us know! 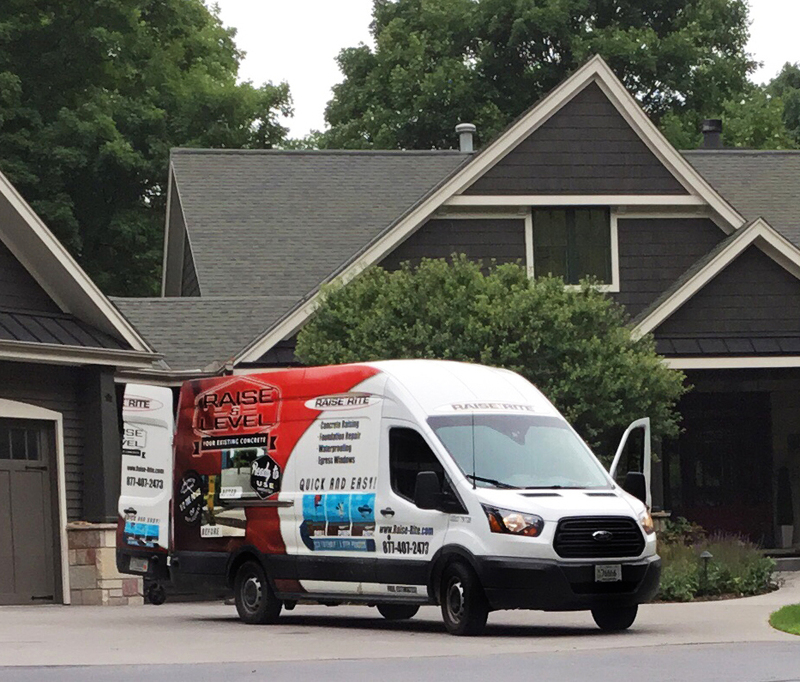 Our polyurethane concrete raising van system is perfect for tight quarters that might be challenging with a full poly concrete raising truck system or poly trailer system. 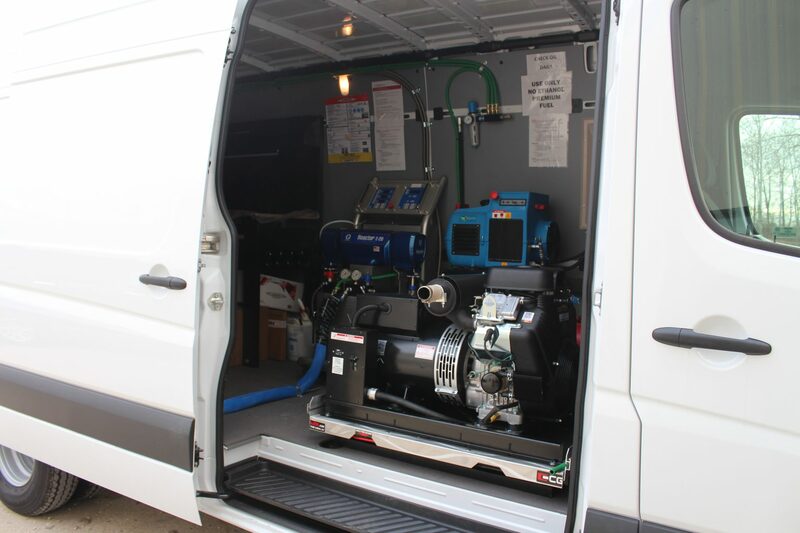 Offering you everything that you need to get the job done right, from equipment to training, the HMI poly van systems will help you level your concrete in no time. 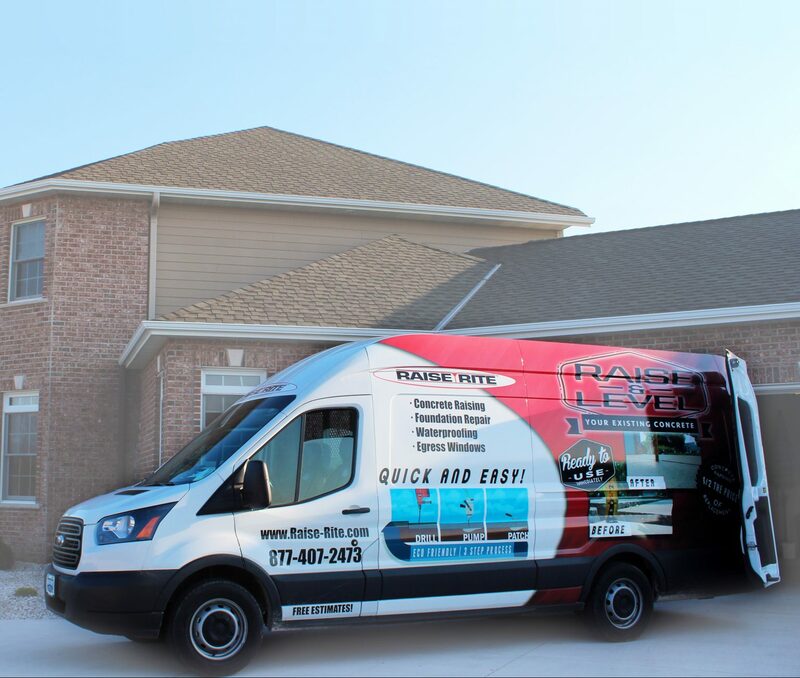 Want to learn more about our State-of-the-Art Poly VanSystem? 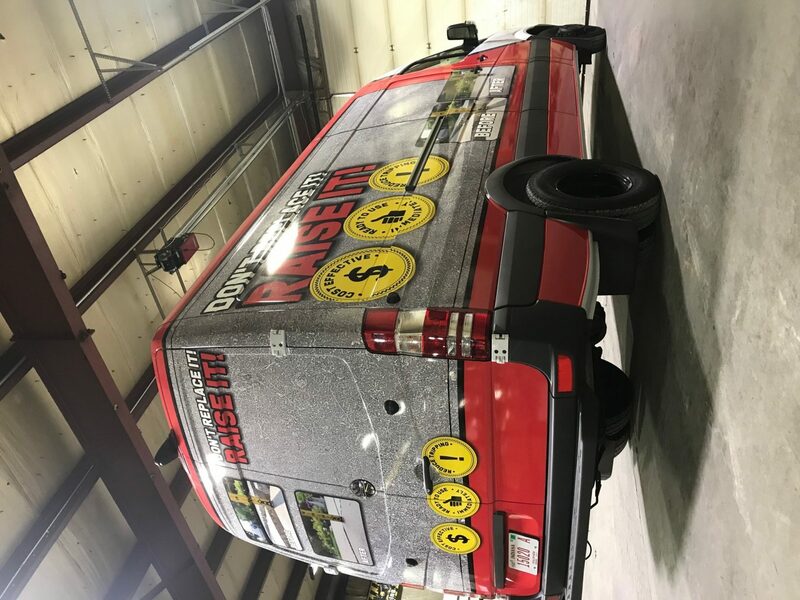 Financing your new concrete raising business is easy!